The raison d'être of the State is to provide services, generate public goods and improve the quality of life of the citizens. And the State has the taxes as resources to guarantee these rights. According to these precepts, and in the context of a responsible administration, the plan to promote spending efficiency and reallocation has been intensified. In order to make the province grow and develop, it is necessary to increase the pace of public works. But all works of infrastructure, from building a school to a hospital; from an aqueduct to a path or a port, require that the State increases current maintenance costs, because the works are made to serve, and once completed it should make them work. Complying with the principles of transparency, objectivity and competency, the government has implemented actions to ensure the entry into the provincial public administration through the public exam and merit-based selection process, a tool that does not only ensures the suitability of applicants, but also transparency in the entire process of selection. These selection processes have been held without interruption since the creation of the new regime, in 2009. Meanwhile, the government continues with the commitment to prioritize the joint committees, promoting periodic jurisdictional meetings, as well as a joint technical commission in the area of the central commission adjustment. Different credit lines are being considered with destination to large infrastructure projects. These lines include credits for the construction of the Reconquista aqueduct, work that will benefit a universe of approximately 200 thousand inhabitants in Reconquista and its region, with access to drinking water; the project of conversion of the port of Santa Fe; the construction of defenses to protect Cayastá riverside, giving solution to erosion processes driven by the evolution of the fluvial morphology of the San Javier River; Santa Fe basin irrigation project; the expansion and refurbishment of 72 provincial schools from the North Centre; among other projects. Through the provincial real state tax registry the government is implementing a series of improvements that are related to the modernization of the State, through more user friendly access to information systems and the provision of new procedures through the web. The implementation of the Territorial Information System (Sigit), a tool put into operation in 2012 that allowed professionals, local governments and citizens in general the access, via web, to information about the real estate in the provincial territory. 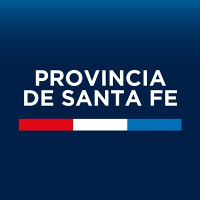 This system provides a web link that contributes to decentralisation and regionalisation of the administration of the territory, as well as to the socialisation of information registered on the territory of Santa Fe. It has also been developed a new online system for the application, follow-up and issuance of the cadastral certificates. It is a legal and binding procedure in all writing process to transfer a real estate, mortgage, succession or donation, which annually are requested and about 100,000 certificates are issued. The Provincial Tax Administration carries out a plan of actions in order to ensure the collection of provincial taxes on time: Gross Income; Real estate Tax (Rural and urban); Stamp Tax and Motor Vehicle Tax. With the same aim, controls are also made to ensure the correct deduction from the revenue that does not represent taxable income, aliquots applied, activities declared as exempted or promoted, and taxpayers of the Multilateral Convention that modified significantly the attributable coefficient to Santa Fe. The provincial administration, in what refers to government financial activity, consists of programming, administration, allocation and control of two pillars that are in permanent motion: incomes or resources, mainly from tax origin; and socially popular expenses or investments. Even more, the existence and subsistence of the State is in direct relation to the commitment of its members, first in the formation, and then in the proper administration of the Treasury. For this reason, and convinced of the need to engage citizens in the recognition of their rights, but also of their duties, is that in 2013 the government started to develop a programme for tax civic education, called "Educit" (item 20- Provincial Law N ° 13,319, Res. 461/2013 ME), which will be launched in the entire provincial territory by the end of May this year. With regards to the provincial tax sharing with municipalities and communes, the province continues ensuring the distribution of 13,4372 per cent of the revenue according to the provincial revenue sharing laws. This measure has been applied since 2008, with the decision to remove the top of 90 percent that has limited the distribution of resources since 2005. In the same way, in order to ensure transparent public finances and giving participation to municipalities and communes in the control of partitions liquidation that correspond to their coffers, the province continues working with local governments in the context of the Provincial Commission of Fiscal Coordination, created by Executive Order No. 1,477/08. The Commission is composed of ten representatives from the Provincial Executive Branch (assigned by the Ministries of Economy, Reform of State and Government) and ten representatives from the municipalities and communes in the province, five of which are permanent and five are rotating. The members of the municipalities of Reconquista, Rafaela, Santa Fe, Rosario and Venado Tuerto are permanent because of their character of regional node. In the case of the rotating members, two are representatives from the municipalities and three from communities. In these cases, they have to belong to a different political party from the permanent members corresponding to the same Region. With the purpose of having a quantitative tool that allows monitoring the performance of the economy in the province in real time, the Synthetic Index of the Provincial Economic Activity was implemented in 2013. This tool, which was developed in a joint effort among the Provincial Institute of Statistics and Census of the Province, various universities system and the Economic Commission for Latin America and the Caribbean (ECLAC), positioning Santa Fe as the first province to have an econometric statistical instrument with these characteristics. This index is one of the fundamental tools for the understanding of the evolution of the provincial economy, according to both an aggregate method and some variables with strong structural incidence. It also has a significant value in terms of diagnosis, planning and development of public policies.